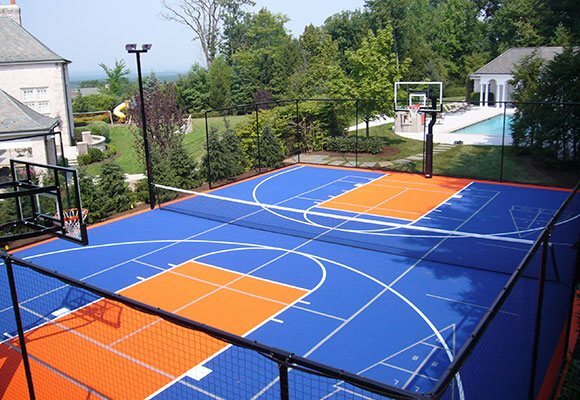 One of the best ways to maximize the value of your new court is to outfit it with the lines for multiple sports or games. 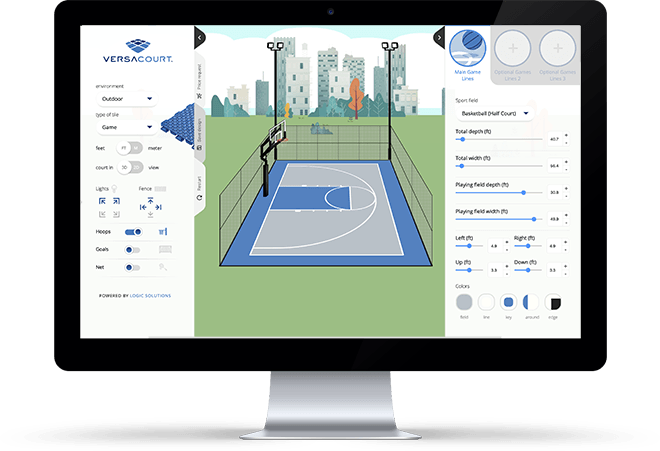 Our designers can work with you to determine the placement, color and size of different line options that will work for your court. In many instances, we will use different colored lines for different games or adjust the standard sizes to get them to fit on your court. To ensure the quality of our game lines, all courts are pre-painted in the controlled environment of our facility by experienced VersaCourt personnel. We carefully tape all of the appropriate game lines on to the court surface, apply our special adhesion promoter and then utilize a long-lasting polyurethane paint specifically designed for use on plastic courts in outdoor environments. By utilizing this process and an experienced team of painters, you’ll enjoy bright court lines that will last for years to come.